At some point during my work on the Faces series, the thought occurred to me that each volume represented a larger narrative thread. Union soldiers. Confederates. African American participants. 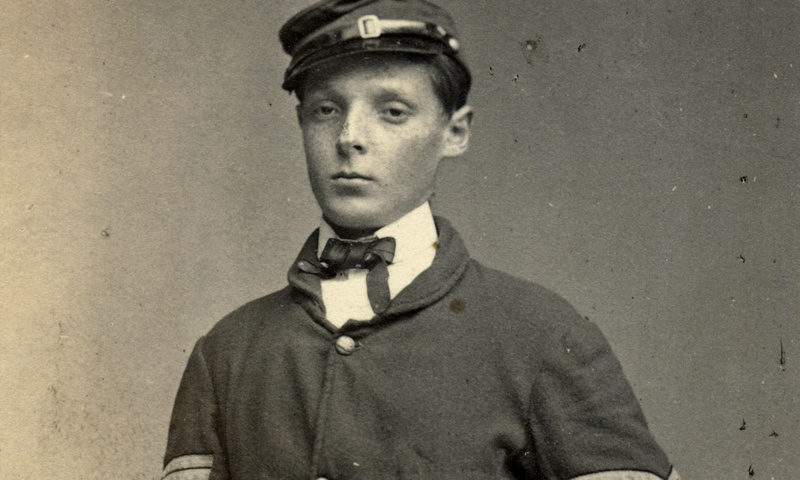 This book, Faces of the Civil War Navies: An Album of Union and Confederate Sailors, adds a fourth thread. Looking back after four years of research, It is a wonder that these men have never received equal time. Navigable waters are central to our Civil War narrative. The first hostile shots roared from rebel artillery at Charleston Harbor. Along the Mississippi River and its tributaries, federal expeditionary forces engaged in amphibious operations that ended in victory at New Orleans and Vicksburg. Confederate guerilla bands and masked batteries along the river responded with lethal surprise attacks. In the Gulf of Mexico and the Atlantic seacoast, blockaders in blue floated within earshot of the enemy. In the Pacific Ocean, Union crews protected California mail steamers and remained vigilant for spies and secessionists. In Hampton Roads, Virginia, the centuries-long era of wooden warships came to an abrupt end after a drawn battle between ironclad vessels. In the harbor of Portland, Maine, gray-jackets captured a revenue cutter. On the other side of the Atlantic in the port of Cherbourg, throngs of French citizens were eyewitness to the fight between a notorious rebel cruiser and a Yankee warship. On the other side of the globe in the Bering Sea, another Confederate cruiser fired the last hostile shots of the war across the bow of a New Bedford whaler. Navy Faces seeks to bring these overlooked citizen sailors to light. Coincident with starting this book I became the editor and publisher of Military Images magazine. Initially concerned about taking on both projects at the same time, I soon realized that was not at all the case. The magazine introduced me to a network of image collectors and others who were of immense benefit to the project. One of them, Rick Brown, owned this wonderful carte de visite identified as “Dexter Palmer & the powder boy on the boat.” The photograph is credited to the studio of J. W. Taft of Memphis, Tennessee, about 1862-1863. The moment I saw the photo, which Rick shared with me during a mammoth photo-scanning session of his wonderful collection, I knew that it would be the cover. The content, composition, quality and condition are superb! Rick generously gave me permission to use it, and I later purchased it for my own collection.